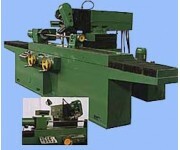 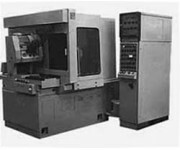 Models of machines that are manufactured by the plant and are not currently supplied. 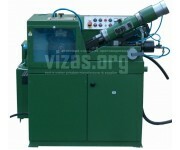 If you need one of the following machines, please contact us, we will definitely pick up for you an analog. 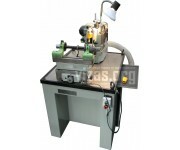 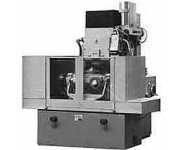 It is intended for initial sharpening and sharpening of round, splined, flat, keyed broaches made of tool, high-speed steels and hard alloys, abrasive..
Semiautomatic grinding with CNC VZ-414F4 is intended for sharpening gear-cutting heads and broaches, cutting conical wheels with circular and str..
Semi-automatic is a wide-universal grinding and grinding machine with CNC and is designed for grinding flute grooves with any parameters on all types ..
Are intended for screw sharpening of drills, three- and four-perforated countersinks and taps with right and left directions of screw grooves, step dr..
Semi-automatic diamond-erosion grinding machine VZ-463 is designed for sharpening hard-alloy drill bits, used for drilling boreholes by impact machine.. 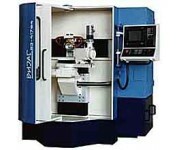 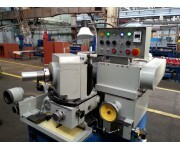 Currently, the machine-tool is not supplied, but we are happy to offer you an analog.The semiautomatic machine is intended for sharpening end mi..
Semiautomatic special grinding with CNC VZ-414F4 is designed for sharpening the deep-cut gears for cutting conical gears with circular teeth from.. 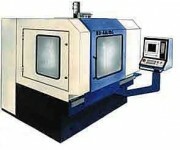 Shaped cutters are used on milling machines for the machining of workpieces with complex shaped profile. 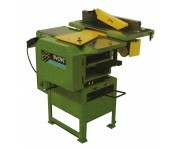 Having a contoured cutting edge of the cutter..